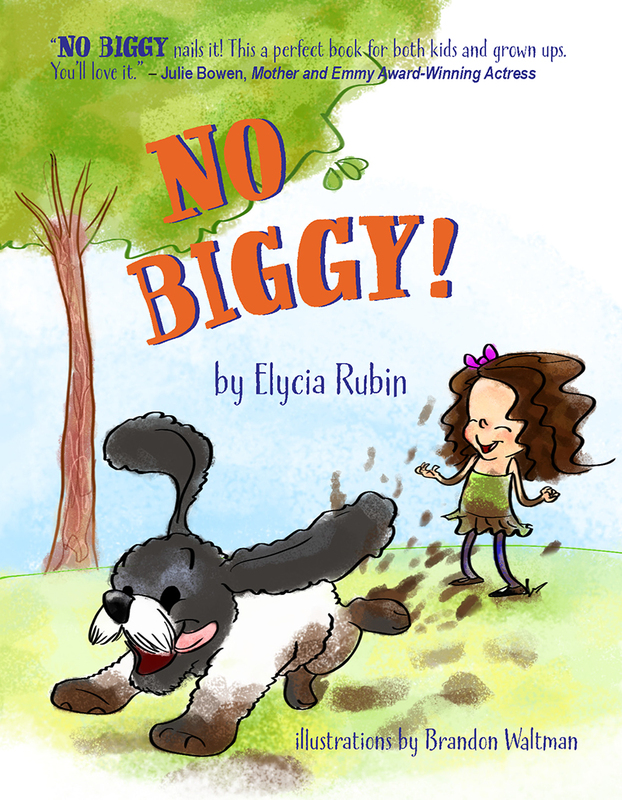 Join me for a blissful day in the beautiful seaside town of Manhattan Beach today (Sunday, December 8th) to celebrate my new children’s book, No Biggy! There’ll be fun activities for the kids, lots of tasty organic treats and take home goodies for both kids and grown-ups. It’s all going down at 12:30 pm at Pages: A Bookstore – 904 Manhattan Avenue, Manhattan Beach, CA 90266 – 310.318.0900. Endorsed by New York Times Bestselling Author and Pediatrician, Dr. Cara Natterson and inspiring celebrity moms: Julie Bowen, Jaime Pressly, Megyn Cotner, and Sarah Shahi, I wrote No Biggy! to help kids manage frustration. After all, getting frustrated is a part of life. And whether the curious little girl in this story is working on a puzzle, getting the zipper to slide up her jacket or trying to spread peanut butter on a piece of toast, she learns how to manage frustration by taking a deep breath, saying No Biggy! and trying again. She even teaches her mommy and daddy a thing or two, cuz grownups sure get frustrated a lot too.